We are very pleased to announce that our MySQL server system is now running the latest release of MySQL – version 5.7. This release of MySQL improves performance, introduces new features, addresses numerous reported issues and continues MySQL’s legacy of being one of the best and most popular SQL servers and database engines on the market today. 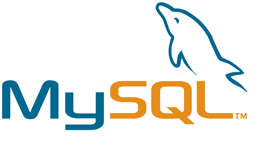 The MySQL 5.7 release increases the performance of MySQL over our previous 5.6 installation, adds native support for JSON, Trigger improvements, InnoDB enhancements, improved query optimizer, improved security and many other innovations! Any application that makes use of MySQL should see an increase in performance, and developers will appreciate the native JSON support! Our control panel now also supports the ability for our customers to enable / disable MySQL accounts without having to delete them to disallow access. This is a great feature to allow access to databases for 3rd party developers, designers, employees and other situations where providing access to a database is temporary. We hope everyone enjoys the new release! If you have any questions, concerns or comments, please let us know. ASPnix is very pleased to provide the latest in technologies to our customers and will continue to provide the best technologies!